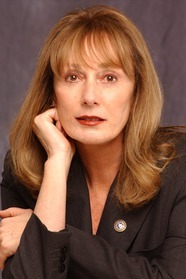 Gayle Lynds is the bestselling, award-winning author of several international espionage thrillers, including Masquerade, The Coil, and The Last Spymaster. A member of the Association for Intelligence Officers, she is cofounder (with David Morrell) of ITW (International Thriller Writers). She lives in Santa Barbara. Listen to this audiobook excerpt from Robert Ludlum's The Altman Code, the thrilling fourth suspense novel in the bestselling Covert-One series.